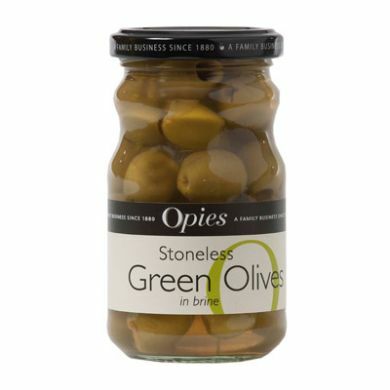 Small glass jar of Opies green olives. 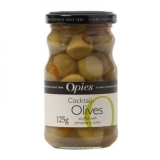 Opies use the finest Spanish Manzanilla olives harvested in the autumn and preserve them in brine to deliver a high quality flavour. 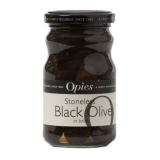 Also use Opies Cocktail Olives for snacks, garnishing pizzas and salads. Olives, Water, Salt, Lactic Acid. This product may contain undetected stones.